BIBERACH Now Biberach an der Riß (a tributary of the Danube), to distinguish it from several other Biberachs. Town in southwestern Germany, SSW of Ulm, and a former Imperial Free City, which today, with its surrounding district, forms a Landkreis in the Land of Baden-Württemberg. The town was developed by the Hohenstaufen and was given some privileges by Frederick II in 1218. It acquired more rights in 1282 and 1312, becoming an Imperial Free City. It belonged to the Swabian Circle from 1500. From 1548 its parish church was used by both Catholics and Protestants, a remarkably early act of religious forebearance. In 1802-3 the city was mediatised, becoming a completely detached part of the Electorate of Baden, transferring to Württemberg in 1806 in exchange for Villingen. 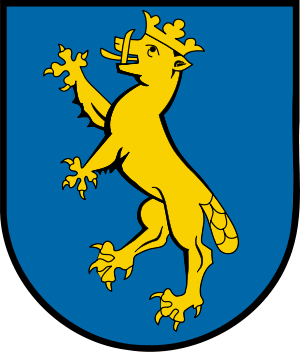 This entry was posted in Germany and tagged baden, Baden-Württemberg, Danube, House of Hohenstaufen, Imperial Free City, Swabian Circle, Württemberg. Bookmark the permalink.